Home › News › Last chance this year to see a Winter Sunshine show! 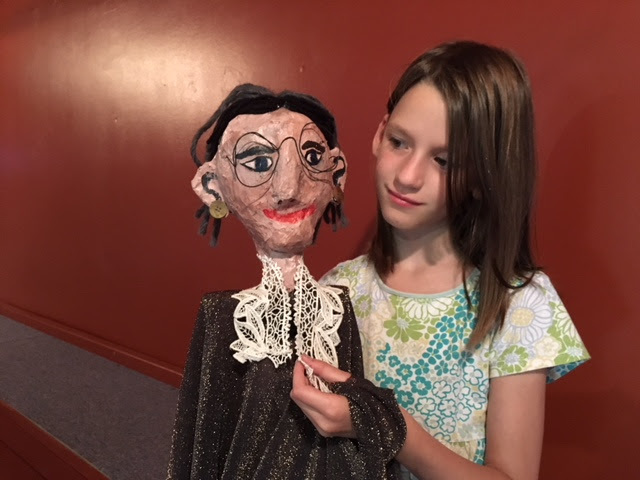 Pirate lore meets fairy tale in The Pirate, the Princess and the Pea, a swashbuckling pirate and princess adventure story from Crabgrass Puppet Theatre. 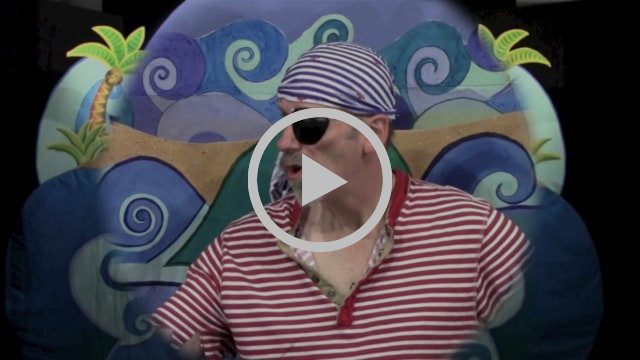 Meet the pirate: “A pirate’s life isn’t all ‘yo-ho-ho and a bottle of grog,’ ya know. It’s hard work escapin’ from sea monsters, keepin’ the crabs from eatin’ me nose, and fallin’ overboard just in time to meet the local shark. But it’s worth it when I find that map and start searchin’ for treasure . 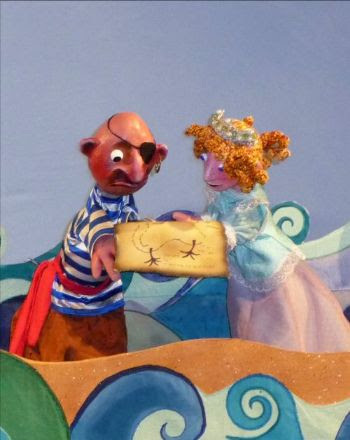 . .
Join Vermont’s own Crabgrass Puppet Theatre on this thrilling voyage chock full of sea monsters, sharks and side-splitting action! Tickets are $9/ticket. Shows for ages 4 and up. Sandglass is an accessible theater right in the heart of Putney. Reservations highly recommended: info@sandglasstheater.org or 802 387 4051. The Winter Sunshine Series thanks the Wolf Kahn and Emily Mason Foundation for their support.